Calling all comic book fans! Asiapop Comicon (APCC) just released their first batch of artist and celebrity guests for this year and it will surely excite all of you! As the biggest pop culture event in the Philippines, AsiaPop Comicon caters to different aspects of pop culture. This is why there’s room for everyone with a fandom and why you should not miss this year’s event. 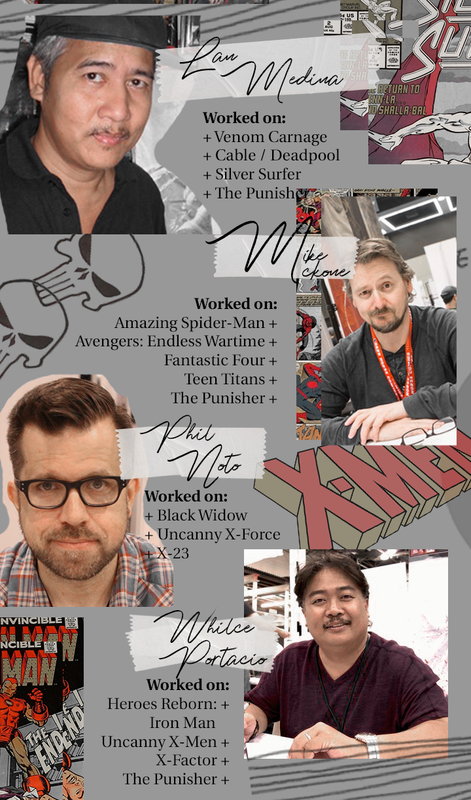 Joining him is Mike McKone, who is known for his works in series like “Amazing Spider-Man,” “Astonishing X-Men,” “Fantastic Four”. Another comic book artist attending this year’s comic con is Phil Noto who worked on “X-Men Origins: Iceman” and “Avengers: The Origins”. Since Marvel will once again be a major partner for this year’s comic con, “Hall M” will be making its comeback. Hall M is an entire exhibit hall dedicated to all things Marvel: exclusive merchandise for collectors, never-before-seen content, exclusive previews, screenings of upcoming shows, and so much more! Joining him is his on-screen partner in the TV show, Jessica Henwick, playing the role of Colleen Wing. This year is APCC’s fourth year, and it is surely something to look out for, especially for Marvel fans, as there will be a lot of things in-store for them this year. This is just the first batch of artists who will be gracing AsiaPop Comicon this year, though. Be on the lookout for the upcoming announcements soon to see who else will be joining this amazing lineup!